The book will be released on June 7 and will be available in print as well as a free e-book for a month. Of course, this all works well with the movie release of Eclipse. I don't even really remember the character of Bree and since I'm not a big Twilight fan, I don't know if I'll even read this one. But I'm sure I'll have teens at the library who are asking for it. Really, the whole thing seems like another way Twilight is trying very hard to be Harry Potter. First the last movie is split into two, now the author releases a "novella" after the entire series is finished and both books have profits going to benefit charity (although The Tales of Beedle the Bard had net proceeds going to Children's High Level Group and The Short Second Life of Bree Tanner has $1 going towards the Red Cross). I still have Twilight fans at the library, but it seem like the buzz and excitement has faded out. The readers that started with Twilight have moved on to other paranormal series. This book almost feels like a way to bring people back and make Twilight popular again. So I'm curious-are you interested in reading The Short Second Life of Bree Tanner or are you over Twilight? I'm in the camp of "Oh please just let it die already..."
I'm in total agreement with your opinion. I think it's just another way to get a few more $$ for the Twilight machine, even if these proceeds are going to charity. And at this point, just about everyone I know has read Twilight, all my teens, their moms, etc so they just need something to keep them sticking around. I won't read it. The character's name didn't even ring a bell for me. I know-I read somwhere today Bree is in Eclipse for all of ten pages! No wonder I don't remember her. My teens have moved on-even the movie release of New Moon wasn't that big of a deal for them. It's more the adults that I have hanging on-my teens are reading other series now. I am so over Twilight, no explanation required. Robby-I'm so glad I'm not the only one! I will read anything stephenie meyer writes as long as it is stephenie meyer who writes it. Bu t I can see why other people would like it to stop, cause it has just been a crazy time and people have (milked) that cow a little too long. But stephenie meyer is just such an incredible writer, that I wouldn't wanna miss anything. I'm over it, but know, like you do, that some of the teens will be all over it, so I'll probably end up reading it so that I can discuss it with them. I never liked Twilight to begin with and couldn't even finish the first book... so needless to say I won't be reading this one. The teens at my library, however, are most decidedly not. We're throwing a Twilight Prom for them next month and I know a bunch of them went out at midnight to buy New Moon when it was released on DVD. I'm sure they'll be all over this one! Nina-It does feel like it's all been overdone. Jessica-I forced myself to read the books, but I just can't bring myself to care about this one. Rebecca-The first time I had Twilight checked out, I took it back without finishing it. Then we had an Eclipse prom and I got a job as a YA librarian, so I made myself read them-I only got through them because they were on CD! Abby-That's so funny you're having a prom! We're having a "masquerade ball" but ours in a general paranormal theme since my teens didn't want to do just Twilight. I loved Twilight- but I'm over it. I'll see the movies, but I wont have a heart attack every time one of the Cullens come on the screen.. 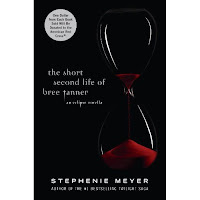 BUT, I would definitely read The Short Second Life of Bree Tanner, because of Meyer. I read her other book 'The Host' and thought it was brilliant, so I'm guessing this one wont be that bad. Over it. My other Ya librarian friend refers to Meyers as "Author" McGreedypants. If she really wants to lure the fans back she need to just release Midnight Sun already. 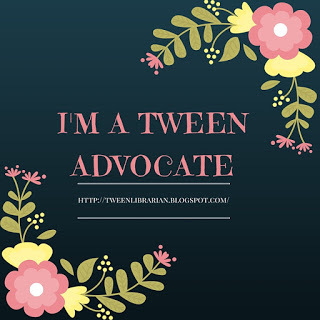 Shweta-I'm so tired of hearing about it everywhere too. ChickLitGirl-I always find it hilarious how fans will go crazy over the movies! I think a lot of people will read it, but I'm ready for something else to get huge. No, no, no, no. I do NOT have the shelf room for more Twilight books (we have like 6 copies of each most of which have been on the shelf recently). Ever since all the "stuff" has been coming out (i.e. the official Twilight guide that has yet to be released, graphic novel, the movies) I've seen this whole thing as a way to make quick money (Yahoo News says Meyer is a multimillionaire). I agree with everyone who says "Oh please...let it rest" These books will never become classics like Harry Potter (in my humble opinion). A novella is supposed to be about 100 pages (50,000 words) and it seems to be a standard, so I was surprised to read that it is 200 pages and a novella. Maybe this is to please the TwiMoms instead of the teens who seem to be moving on? LittleTeenLibrarian-We ordered so many Twilight books to keep up with the demand and now they're either falling apart and getting withdrawn or taking up my shelves. And I agree, I don't think these books have the charm and lasting power of Harry Potter. Who is she? I read the series, but cannot remember this character..mmmm. Nina-She's a very minor character-a newly turned vampire that Victoria creates (I think) and she's in the book for a very short time. I think the Cullen's try to help her, but then she dies-something with Jane from what I read.